When I travel, making sure my iPod is all synced and all my new favourites have been added is on my to do list! Recently on my trip overseas I was having a conversation with a few people about music and who our favourite artists/groups/songs were when the young girl involved commented "I love all music, except country" with a groan and a grunt! I will confess to that getting under my skin a little bit as you then DON'T love all music and upon further discussion it was discovered that she had never really heard any country music and her perceptions of it were completely warped! My iPod has such an array of music it's kind of like Forrest Gump's box of chocolates, when it's on shuffle you just never know what you are going to get. 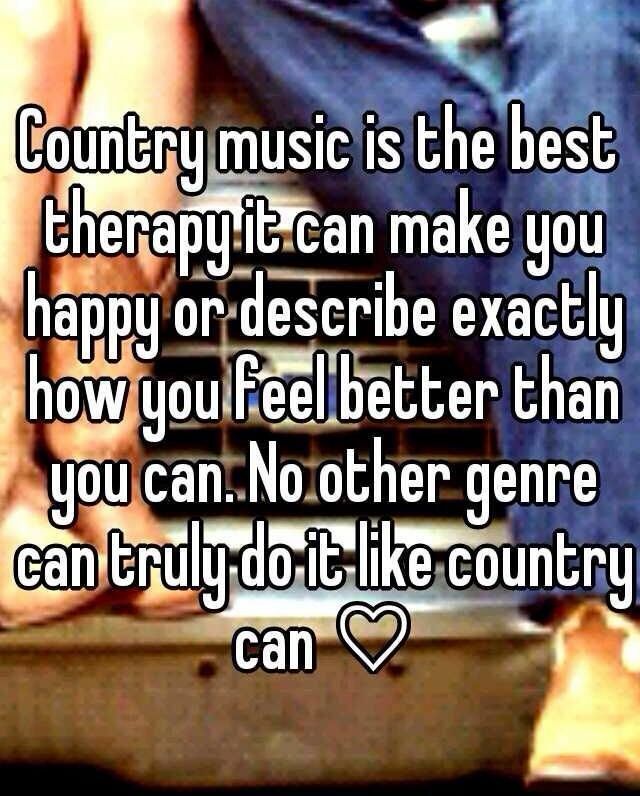 Everything from Alan Jackson to Alicia Keys, Beyonce to Big and Rich, Eminem to Eric Church, Garth Brooks to Guns N' Roses, Lady Antebellum to Lady Gaga, Rascall Flatts to Rihanna, The Streets to Taylor Swift and just about anything and everything in between. If you are a music lover of any kind I think you would be hard pressed not to find something on my playlist that you didn't like! I am a believer in good music is good music, we shouldn't be pigeonholed or defined by the genre but for some reason we are. For some reason country music just speaks to me. The lyrics are real and tell a story that often you can relate to or touches your heart in some way. Music in general is such a powerful thing, the words of a song can send me hurtling back to a place in time, memories or events that have impacted on you in one way or another. I think Trace Adkins sums it up nicely in this song. And if you need any more convincing that country music is worth checking out, then check out my top 5 country music heartthrobs! Linking up with Sanch at Living my Imperfect Life and Alicia at One Mother Hen.